PLEASE: Sign the petition to enforce federal laws concerning partition safety! Click the link below the image labeled "Partition Safety Petition". The search bar is at the top of the side menu. 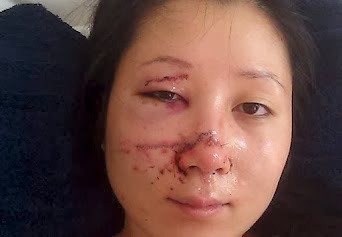 Photo:Janet Lee, injured by a taxi partition. Daus might qualify as a discoverer or a an idiot. Which do you believe it is? We believe there is a workable vision... to use partitions; which don't introduce occupant impact hazards, are low profile, install with zero damage to the vehicle, are indefinitely transferable to subsequent vehicles and comply with all federal safety law.